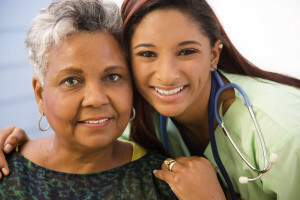 Is Home Care the Best Option for Your Loved One? Tips from Hired Hands Homecare: Is Home Care the Best Option for Your Loved One? Have you started the process of looking for home care services for yourself or a loved one? At Hired Hands Homecare, we know this is an important process. Finding quality care and knowing what level of care you or your loved needs can be overwhelming. We are here to help! We have broken down some of the main functions and ability levels that we take into account when recommending either part-time or full-time home care. Emergency Responsiveness: The individual is able to negotiate stairs, call for assistance or respond appropriately to someone helping him or her during an emergency. Mobility: The individual is able to walk and transfer himself or herself from a bed or chair independently with infrequent falling. Activities of Daily Living (bathing, dressing, feeding, etc. ): The individual is able to accomplish most activities with little help, perhaps needing assistance with meals or housekeeping or reminders about medications, assistance with grooming, etc. Mental Status: The individual has little to no mental impairment. Emergency Responsiveness: The individual needs definite or major assistance in the event of an emergency. Mobility: The individual is prone to falls and needs either stand-by or full assistance walking or transferring. Activities of Daily Living: The individual needs reminders and/or full assistance with many or all activities of daily living. Mental Status: The individual has mild to moderate memory impairment, becomes disoriented often, and/or exhibits mild confusion. Hired Hand Homecare provides excellent home care services in Marin, Sonoma, and Napa counties and the Tri-Valley area. Contact us today for a free in-home care assessment to determine the type of care you or your loved one need. Our care team can help you navigate this process and make sure you or your loved one gets the highest possible quality of care from our fully trained, background-checked, experienced and compassionate caregiving team. I’m glad you mentioned that both options offer good emergency responsiveness. I’ve always been worried as to what I would do in case of an emergency. Looking at the both options I think the first one would best fit my dad’s needs as he can still walk around the room. My mother’s health is deteriorating, and we are looking for ways to make sure she still gets the health care she needs. We are considering in home care, but want to make sure that this is a good option for her. Like you said, for those who are prone to falls and need help with walking or transferring, it might be best for us to find a full-time care service. I haven’t ever liked that you had mentioned that if there is any memory impairment that it could be very helpful to have a full-time home care to make sure that they’re taken care of correctly. My wife and I have been talking about getting my father care because he will often call and tell me the same story multiple times and while it’s just a story, we’re worried about other things he might forget. Knowing that with memory impairment that it can be very beneficial to have a professional handling that care, I’ll have to start looking for one to help with my father. My grandma recently broke her hip and we’ve been wondering if it might be a good idea to hire her some home care assistance to help her with the small things around her home. So thanks for telling us that we should be sure to hire someone full time if our loved one needs assistance anytime they are walking. I’ll be sure to start looking for a full-time home health care assistance since my grandma won’t be able to walk for at least a few weeks without any sort of help. That’s good that an elderly care agency will be able to thoroughly vet the caregivers and send in a substitute if the normal caregiver is sick or otherwise can’t come in. My dad has arthritis and is struggling to be able to take care of himself like he used to. I think that it would be really beneficial for him to have an in-home caregiver to take care of him. I’ll have to find an agency that deals with elderly care to help out. My grandma has dementia, so my family has been thinking of getting her home health care. I like how you said that full-time care may be a better option for her, as she has memory impairment. What qualities should my family look for when hiring a home care agency. You did a great job of explaining that our main objective here is to provide a quality care for our loved ones. This is what my dad needs since he’s the one taking care of our grandfather. They are now seeking assistance for his daily activities like bathing, dressing, and feeding. My parents are reaching the point in their lives when they should have home care assistance services. I like how you differentiate between having minimal and full-time care. My parents are just reaching the age and they can still accomplish most tasks. Valuable blog it was quite interesting nice work. I want to thank you for this informative read, I really appreciate sharing your post. This is my great pleasure to visit your website and to enjoy your excellent post here. Very good blog! thank you to the author for it! In it interesting and useful information it is possible often times re-read it! I will advise to read it all friends. It will be very useful at writing of the article. Very much thankful you. My grandmother is very prone to falling these days and I’m worried about her. Thank you for pointing out that this is a great sign that she may need senior care. I’ll have to look into finding the best care option for her.